​Stability: We have been serving Seymour and surrounding locations for over 30 years through our parent company, The Washing Machine Of Seymour, LLC. Family Run Business: As a family run business, we strive to provide a clean location and quality services at great prices. Low Prices: Simply put, we offer the most competitive prices in area. Customer Satisfaction: We strive to provide the highest customer satisfaction possible. Try us out. You won’t be disappointed. Comfortable Environment: We keep the store clean, well lit as well as heated and or air conditioned based on the season. Our attendants will provide prompt and friendly service so our customers always feel comfortable. 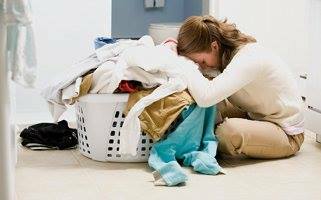 Attention to Detail: Our staff does all wash, dry and fold to ensure the service is consistent and quality control is spot on. Convenient Hours: We are open 7AM – 7PM Mon - Fri & 8AM-5PM on Saturday.